Komisi Pemberantasan Korupsi - KPK is the Indonesian Corruption Eradication Commission. KPK is an independent state-agency in Indonesia which was formed to fight corruption in Indonesia. KPK was formed by the Government of the Republic of Indonesia as an independent government agency under the laws of the Republic of Indonesia No 30 of 2002 on the Indonesian Corruption Eradication Commission. KPK is granted with the mandate to eradicate corruption in a professional, intensive and continuous manner. KPK is based in Jakarta and its head office is registered at Gedung KPK - Jl HR Rasuna Said Kav C1 Jakarta. According to KPK's profile as cited by JobsCDC.com, KPK is organized as 1 general secretariat and 4 deputies. 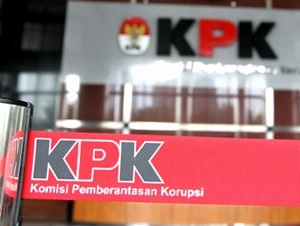 KPK's deputies consist of Deputy Prevention, Deputy Repression, Deputy Information and Data, and Deputy PIPM. As of December 2016, the Commission has 1,124 staff in all divisions. Komisi Pemberantasan Korupsi is lead by Agus Rahardjo as the Chairman of KPK for the the period 2015-2019. On 21 December 2015, Agus Rahardjo was sworn by the President Joko "Jokowi" Widodo as the Chairman of KPK to replace Taufiequrachman Ruki. The Chairman of KPK is supported by 4 deputy chairman, namely Basaria Pandjaitan, Alexander Marwata, Saut Situmorang, and Laode M. Syarif. Indonesian citizen (evidenced by KTP or Passport RI). Maximum age of 58 years old on the date of inauguration. Have Technical Competence, Managerial Competence, and Cultural Social Competence in accordance with competency standards Position as stipulated in accordance with prevailing regulations in KPK. Not being a party official in the last 5 years (evidenced by the Statement Letter having no affiliation and or being a member of a political party and never a legislative candidate from a political party). Physically and mentally healthy to be proved by health examination by Team appointed by KPK. Have a good track record, integrity, and morality. Unbound family relationships both blood and marriage up to the 3rd degree with the Chairman / Advisor / KPK Officer. Unbound family relationships both blood and marriage up to the 3rd degree with the suspect / defendant / convicted of Corruption Crime. Have never been involved in drug, criminal and financial matters and are convicted of a crime by a court decision that has had permanent legal force. Submit proof of report of SPT / settlement of tax liability. If accepted in office, willing not to serve as a Commissioner or Board of Directors of a company, foundation organization, supervisor or cooperative board and other professions related to the position, as well as members and active sympathizers of political parties. If accepted in office, willing not to conduct business activities that cause conflict of interest such as buying and selling activities, consulting / services and so forth. JobsCDC.com now available on android device. Download now on Google Play here. Please be aware of recruitment fraud. The entire stage of this selection process is free of charge. Komisi Pemberantasan Korupsi - Recruitment Secretary General KPK July 2018 will never ask for fees or upfront payments for any purposes during the recruitment process such as transportation and accommodation.